My parents bought a swing-set for the littles. The best part of this swing-set was the pallet that it came on. I was thrilled! Step 1: Find a hammer and knock every other top board out. This makes room for the plants. Step 2: (optional) For a personalized touch I drew and cut out letters to spell "GARDEN" on sticker paper. and then spray-painted over the letters, and pealed them off. 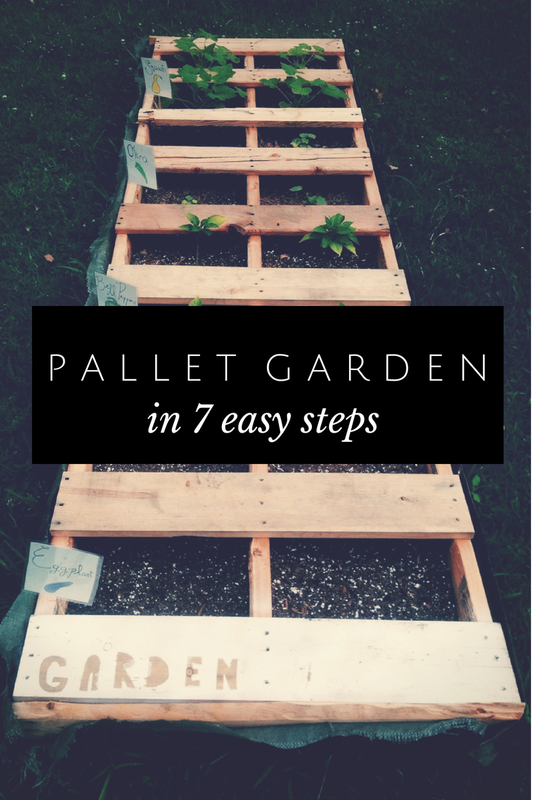 Step 3: Nail a tarp to the bottom of the pallet so that the dirt won't fall out. Caleb helped me with this part. This ^ was the bottom part of the pallet when we had finished nailing it in. Step 4: Poke holes in the tarp so the the water can drain out, but not so big that the dirt will come out. This was the finished product!! Step 5: Draw pictures of everything that you planted and laminate them so they won't get wet when it rains. Then duck tape them to sticks. I planted eggplant, bell peppers, okra, and yellow squash. Everything came up but the eggplant. Apparently eggplant seeds are difficult to grow. This was the final produce! 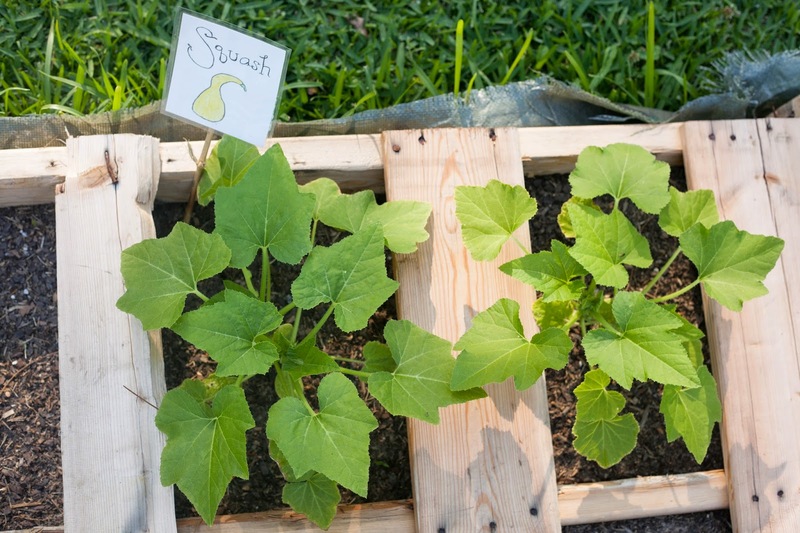 Have you ever made a above ground garden before? Tell me about it in the comments! I love this!! I am going to try it in my backyard. Genius idea and I don't think this is like two year old. That's awesome! I'd love to know how it turned out! thank you for the inspiration for this so I can spend Quality time with my Daughter and reap the great rewards afterwards of fresh vegetables from our own Garden. I will be sure to have some help and have it built so there is no standing but sitting to work the garden.